Apple's much-awaited iPhone 5 was launched yesterday. 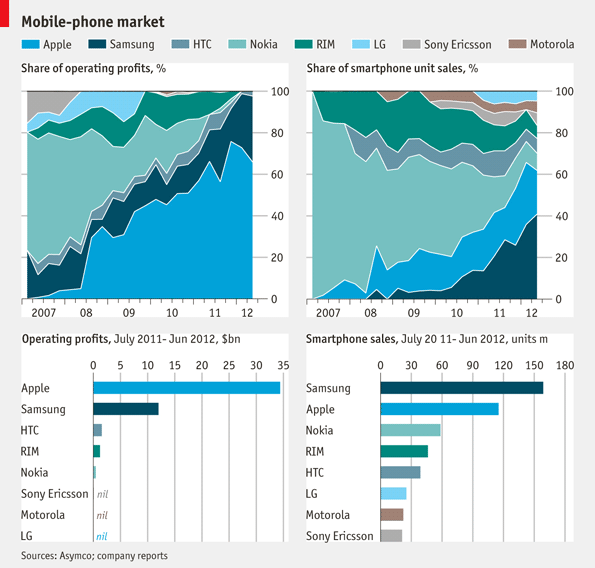 The Economist has an infographic on the impact of the iPhone on the global mobile market. Labels: Arab Revolutions, Economics, India, Infographic, MBA, Religion, Technology, Terrorism, Test Prep, U.S.